This Obsessive dozen celebrates all things Chardonnay and helps you to try out our newest release - 'The Obsessive' Chardonnay. This dozen contains 6 bottles each of our 2012 Yellow Label Chardonnay and 2013 'The Obsessive' Chardonnay. Usually valued at $378 we are offering this dozen for a limited time at 10% OFF for $340. No further discounts can be applied to this dozen. Invite the 2013 Yellow Label Chardonnay to your festive celebration and she’ll make the perfect guest – refined, yet rich and ripe. The licks of French oak are apparent with every sip but they’re integrated with melon, nectarine, spice and honey notes, finishing tight and taut with a precise acid kick. ‘The Obsessive’ Chardonnay honours Scarbie's attention to detail. It's fitting that the first release in the range is a Chardonnay, Scarbie's long held passion. 'The Obsessive' Chardonnay is a limited release, small batch wine. 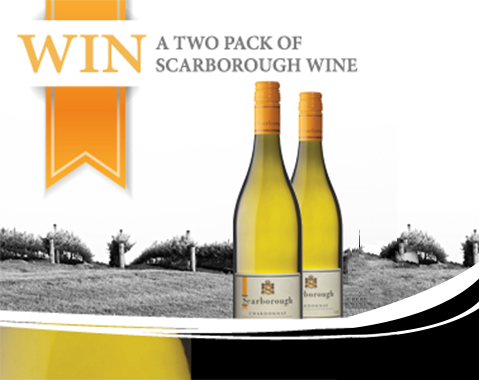 This gorgeously supple wine is complex and creamy with a healthy dose of fruit balanced nicely with the oak - a superb expression of Scarborough's distinctive Chardonnay style. It's a wine that won't be made every year - only when the right conditions prevail. Check our most popular wines below. PLUS receive a FREE bonus bottle with each case purchased. Congrats! You’re in the draw. 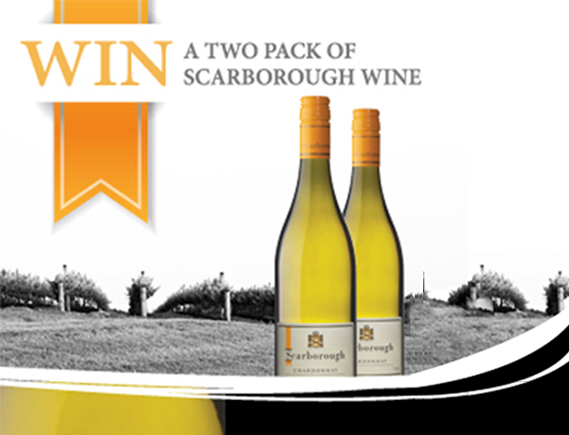 Go in the draw to receive a twin pack of Scarborough’s favourite wines. To review the Terms & Conditions for this promotion click here.